I've heard lots of rave reviews of Toppling Goliath Brewing out of Decorah, Iowa. This is the first time trying a beer from Toppling Goliath, as well as the first time trying a beer out of Iowa. Tonight I'm checking out their well raved after Hopsmack Double India Pale Ale! Appearance: Pours a cloudy, orange & tropical juice body with a moderate amount of white head on top. Gradually dissipates, but still leaves a thin amount of foam-film on top. Aroma: Well, I'm finding this beer to be sweet, tropical, and moderately bitter so far. There's notes of orange juice, pineapples, papaya.. and a hint of a citrusy-forward perfume. Smells a bit creamy, so it reminds me a bit of a smoothie, and lastly has a bit of a bitter pine aroma popping up here and there. Taste: Pineapple! Juicy! Sweet! Mildly bitter! This is a great treat, it gives off notes of what I love in a New England IPA, it's sweet, it has notes of pineapple, a moderate kick of orange, hint of lemon, a light creaminess, and a light bite of pine and spiciness at the end. Overall Thoughts: Reminiscent of the big surge of juicy New England-esque IPAs that have been popping up everywhere. This is lightly creamy and has a good amount of bitterness that I'm not seeing in every NE IPA, so this is an interesting brew. I'm loving the sweet, tropical flavours, the haziness and the bitterness - it's all things I love. 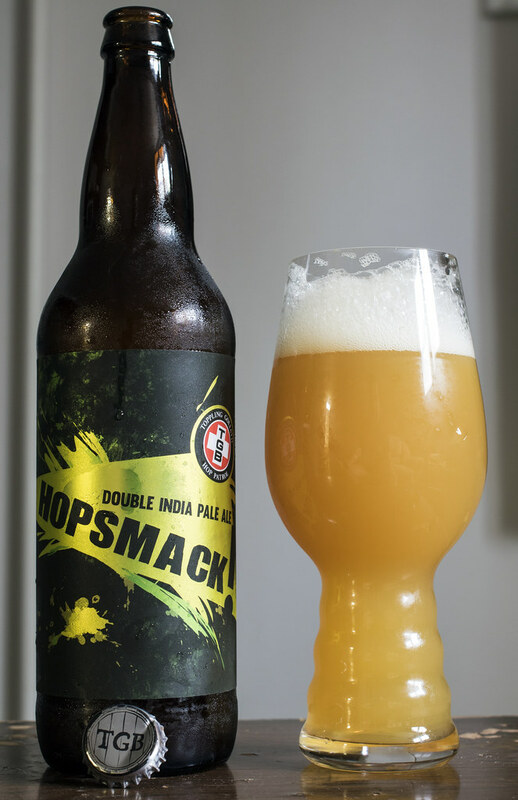 This DIPA tops out at 8.0% ABV and 100 IBU!